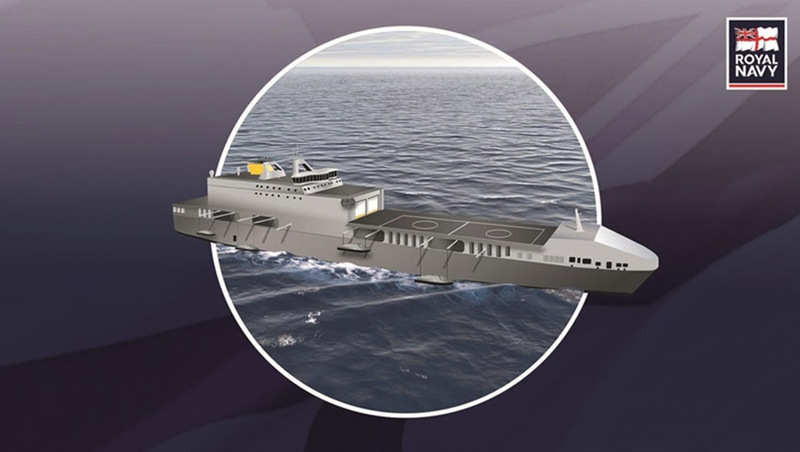 The UK's Secretary of State for Defence, Gavin Williamson, has announced Britain's investment in a concept and development phase for littoral strike ship vessels. Littoral strike ships have the capability to command an assault force anywhere in the world, "carrying everything from helicopters and fast boats to underwater automated vehicles and huge numbers of troops", according to the Ministry of Defence. Under plans being examined by the Royal Navy and Royal Marines, these vessels would be permanently deployed outside of the UK. Secretary Williamson said the globally deployable, multi-role vessels "would be able to conduct a wide range of operations, from crisis support to war-fighting". "Our vision is for these ships to form part of 2 Littoral Strike Groups complete with escorts, support vessels and helicopters. One would be based east of Suez in the Indo-Pacific and one based west of Suez in the Mediterranean, Atlantic and Baltic," the Defence Secretary said. "And, if we ever need them to, our two littoral strike ships, our two aircraft carriers, our two amphibious assault ships Albion and Bulwark, and our three Bay Class landing ships can come together in one amphibious task force. This will give us sovereign, lethal, amphibious force. This will be one of the largest and best such forces anywhere in the world." The Ministry of Defence noted that the Royal Marines would be key to the success of the vessels, allowing the force to be "more lethal, agile and far-reaching than ever before".